I read this article and found it very interesting, thought it might be something for you. The article is called Somadrone – The Last Artefact and is located at https://www.totallydublin.ie/music/music-features/somadrone-last-artefact/. The story of Neil O’Connor’s music career is its own micro-history of the different creative spaces the artist has occupied over the course of the last two decades. There’s been the intricate math rock of The Redneck Manifesto, a group which he helped found, and to this day remains a core member. There’s been his involvement in a re-imagining of Steve Reich’s minimalist classic Music for 18 Musicians for Synthesizers, with Simon Cullen, as Music for 18 Machines. He’s composed scores for documentaries, horror movies, short films and television shows. He’s spent time living in San Francisco and New York. He’s completed degrees in film making, Music Technology and a PHD in Electro-Acoustic Composition, and is a lecturer of Audio at the University of Limerick. O’Connor is prolific in his creativity, and if there’s been one constant on his journey thus far it’s his work writing music as Somadrone. 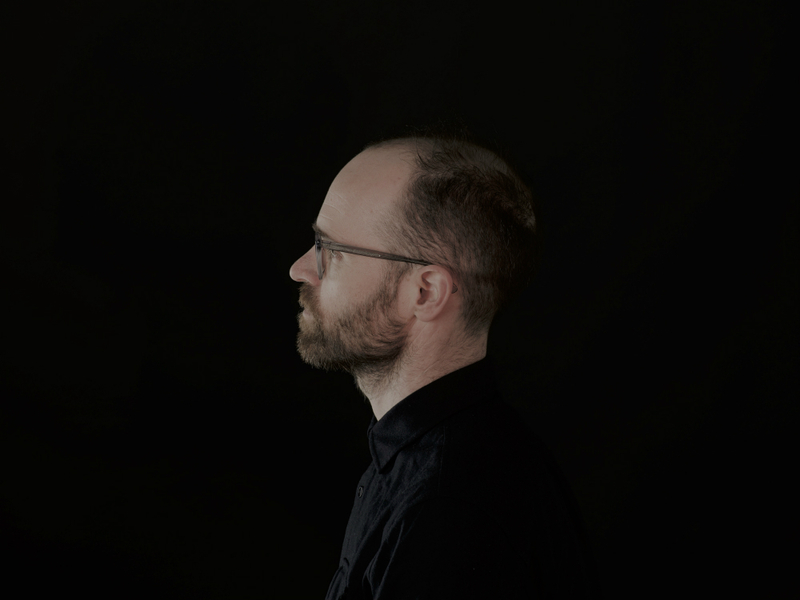 Released this month on O’Connor’s own Scintilla Records imprint, Wellpark Avenue is the sixth Somadrone album and in the artist’s own words is “a total departure” from his last two albums, 2015’s Oracle and 2013’s The First Wave. Gone are the drum machines and heavy synth use in favour of a workflow centered around blissed out tape loops and wistful vocals. In a way, Wellpark Avenue is an exploration of this periodic nature of creativity and is a return to the roots of Somadrone. It’s also the last remaining artefact of the LP’s namesake. O’Connor elaborates: “The cockpit, which was the tiny box room at my place on Wellpark Avenue, was where I wrote the album and it was demolished after the house was renovated last year”. The music has a deeply nocturnal feel to it, and evokes a sense detachment from the outside world, as if the artist was penning a score to a film about his time spent in the studio. When I ask O’ Connor about his process behind the making of Wellpark Avenue, the otherworldly feel to the album makes sense. “It’s different to my previous work in a lot of ways but one of the main reasons is the way my life has changed since becoming a father. I don’t have the time to spend all day in the studio anymore so Wellpark Avenue was mostly composed in very short bursts of productivity, very late at night when I was pretty sleep deprived and using headphones to listen”. It was interesting to learn that the album was initially intended to be one singular piece of music – a combination of sketches merged together to form an entire piece. Although this idea was rehashed, Wellpark Avenue is an extremely cohesive work with a definite beginning, middle and end, as reflected in the track titles: The opening and closing tracks are named Prologue and Epilogue respectively, (the latter bolstered by some extra vocal harmonies from Malmo-based Dubliner J Cowhie) further adding to the cinematic ambience of the album. Given the personal nature of the music on Wellpark Avenue, I was curious to ask O’Connor how collaboration with other artists fitted into such an introspective piece of work – most notably on lead single The Howling Infinite which features violinist and multi-instrumentalist Margie Lewis. “I came up with the conceptual framework and overall idea for the track, getting a rough idea of the instrumentation and where everything would sit. From there, I got in touch with Margie to do some violin parts. She worked with some of my initial ideas and basically made them her own, which added a whole new dimension to the track”. The result? A beautiful slice of low slung dream-pop, underscored by what sounds like a granular sequence from O’Connor’s Doepfer A-100 Modular Synthesiser, which was used throughout the album (along with a myriad of other gear that would leave most synth-enthusiasts green with envy). Included among the many highlights of Wellpark Avenue is Juniper and Lamplight, the second single from the album and a gloriously ethereal re-interpretation of Simon & Garfunkel’s For Emily Where I May Find Her. The basis of the initial version is manipulated through O’Connor’s tapes and effects, culminating in a meditative piece of psychedelia, reminiscent of Broadcast’s more down tempo output, and some way away from the 1969 original. It’s worth mentioning here that O’Connor cites Broadcast, along with John Cale, Scott Walker, and David Sylvian as key sources of inspiration for Wellpark Avenue and after listening to the album in depth you can see why. You can hear their influences throughout the entire album: the often esoteric subject matter of Cale’s lyrics, the atmospheres created (prior to synthesizers being commonly used) in Scott Walker’s music, the arrangement and pace of David Sylvian’s Brilliant Trees – it’s all there on Wellpark Avenue in many subtle forms, tucked away under the expansive layers of Somadrone’s studio atmospherics. The album, if anything else, feels like the product of its environment, a theme that’s evident throughout all of Somadrone’s output thus far. “This is my Dad-rock album” O’Connor quips. If Wellpark Avenue was a departure from previous albums it’s exciting to see where his next work will take us; O’Connor tells me that another album is already in the works. We can be certain that his sound will morph and evolve again as his own personal circumstances have – O’Connor now operates from a different studio space during daylight hours, changes in his flow which are sure to permeate the output of a musician as fluid and assured as O’Connor. Here’s hoping the next reinvention is as good as this one. Wellpark Avenue is released on April 6 on Scintilla Records. There’s a launch party on Thursday May 3 at 20 Camden Row where Somadrone will be playing live with support from Minced Oath (Sunken Foal) and a DJ set from Vital Signs, brought to you by the good people at Homebeat.